Today I am going to share with you 10 reasons my kids like being homeschooled. I asked all three of my kids and most of these answers came directly from them. I added a couple, but they agreed that these were all reasons they like being homeschooled. 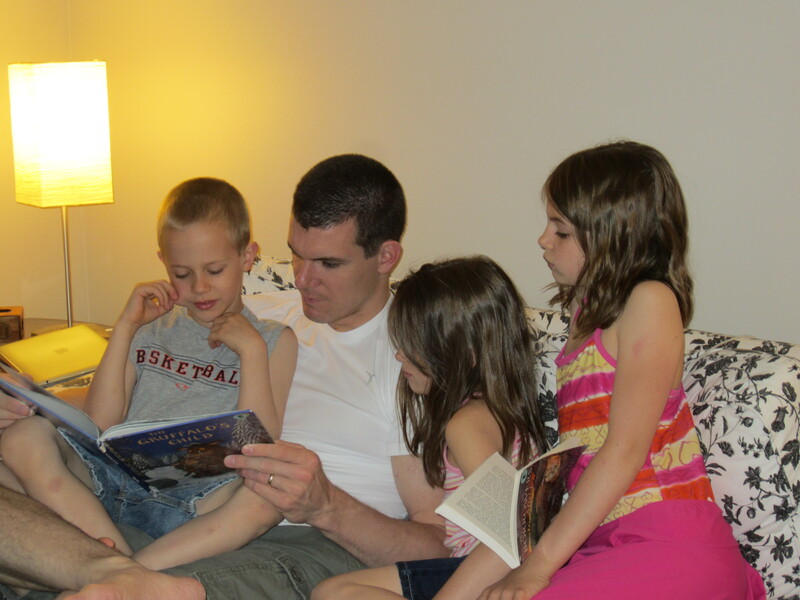 Shorter Days – We are usually able to get done with school within about three hours, because I only teach three kids. The kids love that they have a big part of the day to spend doing whatever they want, (after the chores are done, of course). Vacation Anytime – We really enjoy being able to pick up any time to go away. We don’t have to worry about missing school, because we can either do it on the road or let it wait until we get back. Being home when Dad is – My husband works odd hours. He works most weekends, his day off is Monday, and he works at least three nights a month. My kids would rarely see there daddy if they were in a traditional school. They love their daddy and soak up every hour they have with him. Starting later – There are days that the kids play all morning and we do school in the afternoon. They love it and I love it. Our day would feel a lot more stressed if we re rushing to catch a bus in the morning. Being with mom – This answer surprised me. My son answered this and it made me melt. I can concur with this, who wouldn’t want to have a teacher who knows you so well? Staying home – Not everyone is a home body, but two of my kids just like being home. Not having to leave home every weekday for eight hours is something my little ones are thankful for. School outside – When it’s a beautiful sunny day, it’s nice that we don’t have to be stuck inside. We can bring our work outside and soak up the sun. More recess – With a shorter day it does give the kids more free time to play. They enjoy going to the park, the pool, riding bike, and playing with their other homeschool friends. Sneak away to read a book – This was another answer that surprised me but I have found when I get busy teaching one child, another might sneak upstairs and try to finish that favorite book. Sometimes they are supposed to be working on something, other times they are just waiting to be able to work with me. Teaching to their Learning Style – I didn’t realize how different my kids learning styles when we first started out, but as they get older it has become more evident. One likes reading more about a certain subject, while another prefers to write a story about it, and another may want to build what we’re learning with legos. Teaching them according to their learning style is so beneficial to help them proceed in their academics. My kids totally love starting later in the day too. I don’t know what they would do if they had to be at school first thing in the morning. They used to do it, but they’ve definitely gotten out of that habit! I think my kids would probably do okay, since they get up early, but they like their play time. I, on the other hand, would probably be more frazzled! My kids don’t know what sleep in means, yet. My ideal start time is 9:30, then we can usually get done by lunch time. When the kids are getting along putting lego creations together, I hate to interrupt. I remember teaching my children at home. One loved to draw and to write. The other was strictly hands on and did well with audio books. Their first year in a charter school was an adjustment for them, but the school catered to individual learning styles—just not as much as i could at home. That’s great that there are schools that can do that! I don’t know if we’ll homeschool forever, so it’s nice to know there are good options available. Wonderful list. 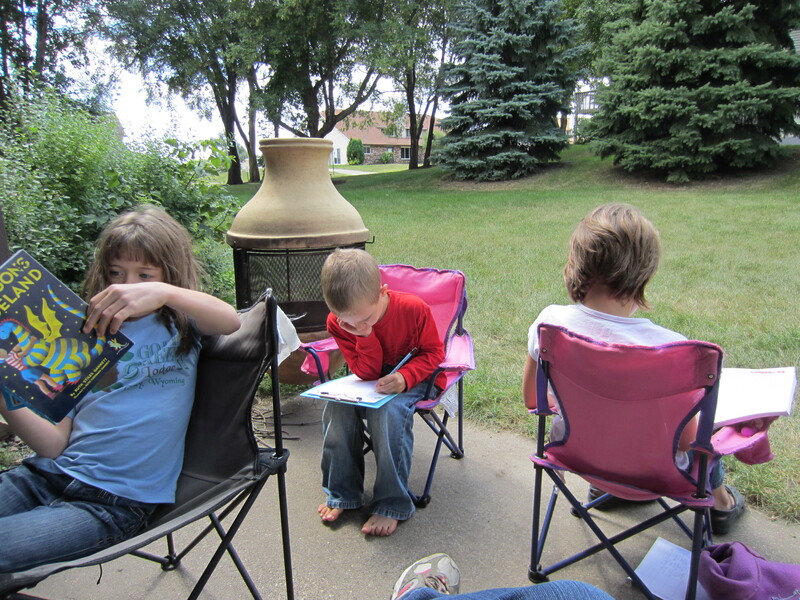 My kids like doing school outside best of all too and we have taken advantage of this as much as we can. Thanks for sharing. Thanks, Ginny! We live in MN, so as soon as it’s warm out we’re outside. I appreciate the “being with dad” the most. My kids would miss out on eating lunch with dad and that is a very special time for all of us.